Inspire girls and young women to say ‘Main Kuchh Bhi Kar Sakti Hoon’! Gram Vaani worked with Population Foundation of India on Main Kuchh Bhi Kar Sakti Hoon, the super-hit Indian television serial. 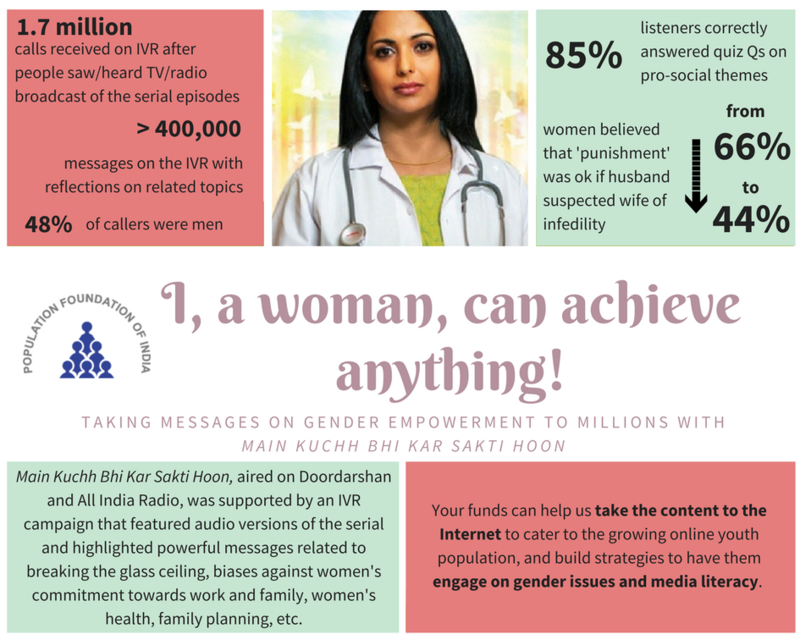 The serial was supported by an IVR campaign that featured audio versions of the serial and highlighted powerful messages related to breaking the glass ceiling, biases against women’s commitment towards work and family, and health and family planning practices. Read more about the project here.